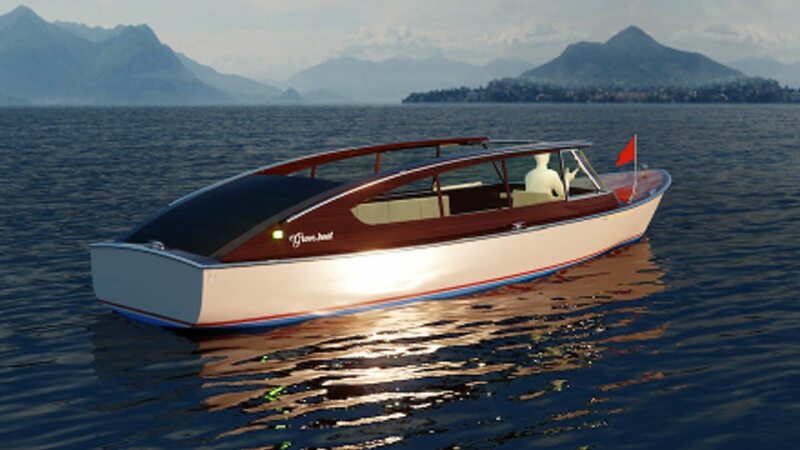 This year, we are proudly launching a new “Vintage version” of the Aquabus 850, a 100% electric 12 passenger fast taxi boat that we designed with Flahault-Chenet. Its gliding hull will enable a speed cruise of 24km/h and its LiPo battery pack a 4 hours cruise speed of 16km/h. This taxi boat will be a perfect hotel / resort shuttle. PreviousPrevious post:CEBC launch in FloridaNextNext post:Scoop Plus arrives in the UK !